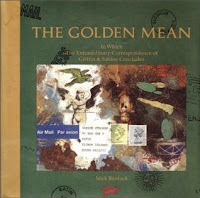 It’s hard to believe that it has been 25 years since the first book in Nick Bantock’s Griffin and Sabine trilogy was published in 1991. 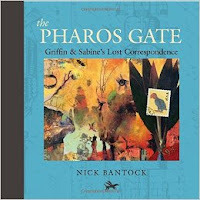 This April brings us the release of a beautiful 25th anniversary edition of the original trilogy, following on the coattails of a new volume in the series: The Pharos Gate: Griffin & Sabine’s Missing Correspondence which was released at the end of March. 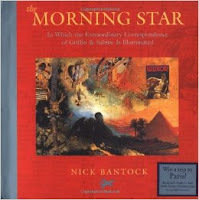 For those unfamiliar with Bantock’s work, the story is an epistolary romance told through a series of removable love letters and beautifully illustrated postcards. Much of the pleasure of reading it comes from the tactile experience of opening the envelopes and unfolding the letters, the likes of which few of us receive in this era of email and text messages. 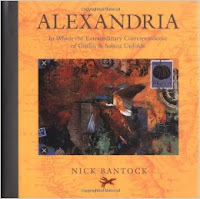 Bantock has a rare talent for combining text and artwork in a way that enhances both. 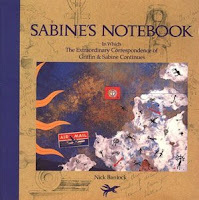 Even after 25 years, the Griffin and Sabine books remain a unique reading experience. The original trilogy consists of Griffin and Sabine, Sabine’s Notebook, and The Golden Mean. These books tell the story of Griffin Moss, an artist living in London, and Sabine Strohem, another artist living on a mysterious uncharted island. In the first letter we learn that Sabine has a psychic connection with Griffin and is able to see his art as he creates it. As the correspondence grows, the pair become friends and eventually fall in love; however, mysterious obstacles interfere with their attempts to meet in person. The series ends with a postcard addressed to Matthew, a central character in the subsequent Morning Star trilogy. 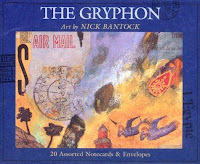 The Morning Star trilogy consists of The Gryphon, Alexandria, and The Morning Star. This trilogy focuses on the correspondence of another pair of long distance lovers, Matthew and Isabelle. Matthew is a young archeologist from the same island as Sabine and he also shares a psychic connection with Sabine. 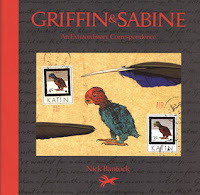 The letters in these volumes are largely exchanged between Matthew and Isabelle, but both Griffin and Sabine occasionally write to them as well. The Pharos Gate is set between the two trilogies and carries on in the same style that made the original books such a success. Critics might complain that this addition adds nothing new to the series, but fans are sure to rejoice at finding familiar territory unchanged. 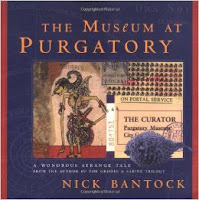 The artwork is Bantock at his best, beautiful and ephemeral. 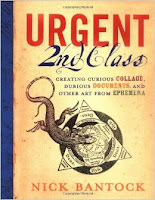 Like the previous books, the story unfolds in letters that must be opened and unfolded. The writing has a sparse beauty that comes from both the cursive print and the necessity of containing all of the story in letters and postcards. 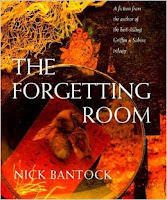 As the plot progresses and Griffin and Sabine approach their destination, the reader gets to re-experience the moment of exquisite anticipation before opening the final envelope.